You and your colleagues spend a great deal of time in the office each day, which equates to a constant exchange of germs and bacteria in the air. As it turns out, certain spots in your office are far dirtier than others. If you want to avoid getting sick, be sure that the following areas receive extra cleaning attention each week! According to recent research, a single doorknob in the workplace can spread germs throughout an entire building very rapidly. One study purposefully applied a virus to doorknobs in public facilities and found that up to 60 percent of employees and visitors had picked up the virus within two hours! In between professional cleaning sessions, disinfecting wipes can be used to reduce the spread of bacteria around your office by up to 99 percent. Your very own keyboard could be a culprit, even if you’re the only one using it. It is possible for bacteria to survive on computer keyboards for hours or even days, and certain strains even multiply as they cling to the keys. Every sneeze and cough has the potential to plant bacteria right onto your keyboard, so be sure to clean your computer based on manufacturer instructions. A bit of hand sanitizer couldn’t hurt either! 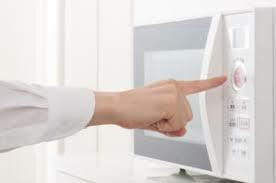 Workplace microwaves are notorious for their less-than-appetizing odor, but the truth is that they are also breeding grounds for bacteria. Simple measures like covering food to prevent splattering and leaving the door open between uses can help to prevent microwaves from being too filthy, but they really require thorough cleaning on a regular basis to eliminate accumulations of bacteria.